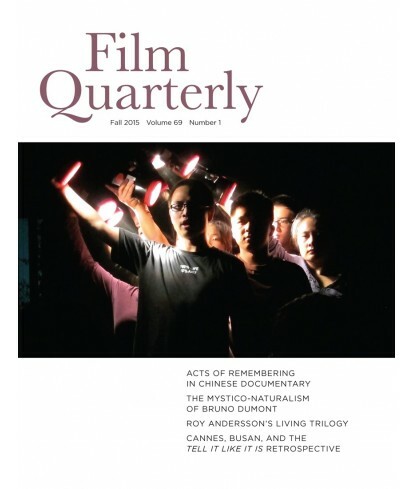 Film Quarterly - Philippine distributor of magazines, books, journals, etc. Film Quarterly has been publishing substantial, peer-reviewed writing on motion pictures since 1958, earning a reputation as the most authoritative academic film journal in the United States. Its wide array of topics, perspectives, and approaches appeals to film scholars and film buffs alike. Features include analyses of international cinemas, current blockbusters and Hollywood classics, documentaries, animation, and independent, avant-garde, and experimental film and video; in-depth articles and reviews that examine all aspects of film history, film theory, and the impact of film, video, and television on culture, society, and the academy, as well as interviews with filmmakers of all kinds, from the United States and abroad.